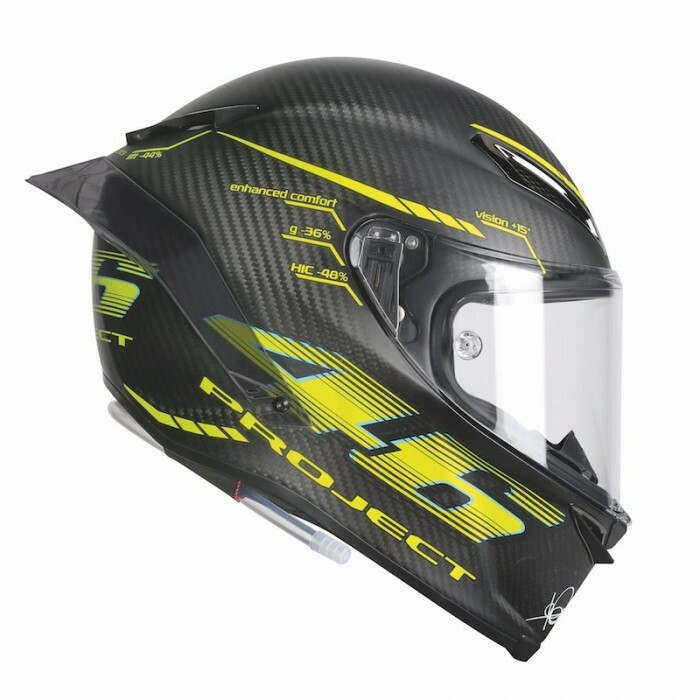 AGV’s PIsta helmet has been around for a few years now, and its got quite a following for its super-light carbon construction and aerodynamic design. 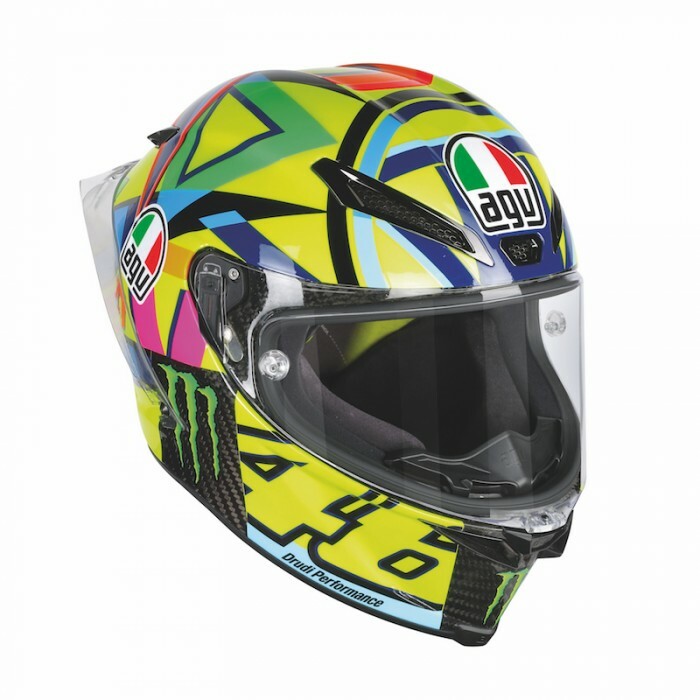 And AGV’s given it a bit of an update for 2017, with a new external venting setup, built-in hydration pipework, and a new visor. The idea behind the vents is to give the best impact protection, by taking channels and cutouts away from the inner polystyrene liner, and putting it on the outside of the shell. Those outer vents are now larger too, giving better airflow, and have new metal protectors, giving stronger protection against possible impact or penetration in a crash. The visor has a larger aperture, for better vision, and the shield itself is a new 5mm thick design, again, to give better resistance to impacts. 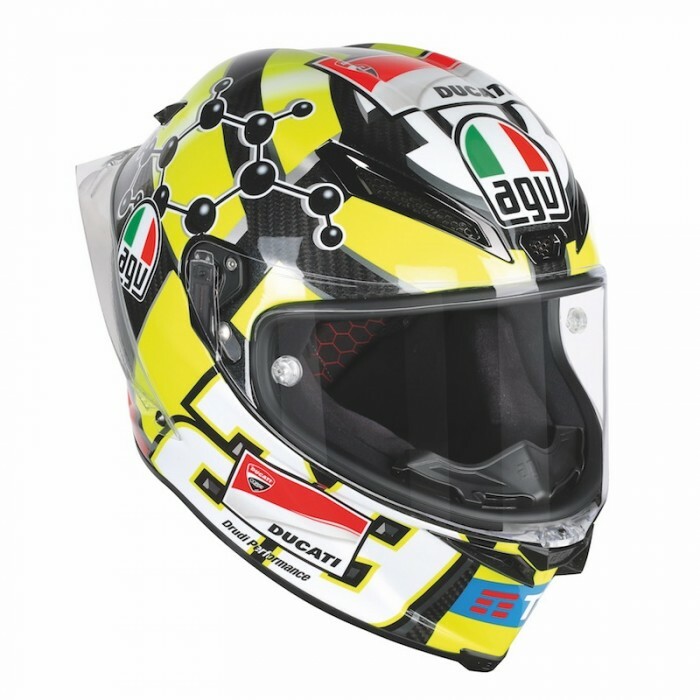 “It’s a real shield, not just a visor,” say the AGV folks.